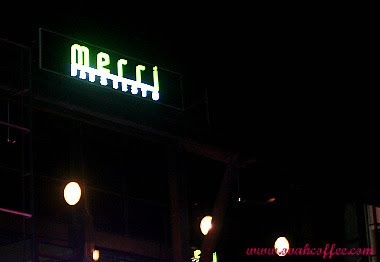 Just a few steps away from the apartment we've rented in Quezon City (Philippines) lies an "almost hidden" but absolutely great nightspot --- MERRJ BAR AND RESTO. My uncle who was driving us (me, Madde, Micke and my younger brother Mark) around Metro Manila during the last couple of weeks of our Philippine vacation recommended Merrj to us. We passed by this place three or four times (on separate occasions) before I finally exclaimed, "Okey, it's time to check this place out!" OUR FIRST VISIT was on the 23rd of February. We were fresh from our from-opening-until-closing-shopping-episode at TriNoMa. 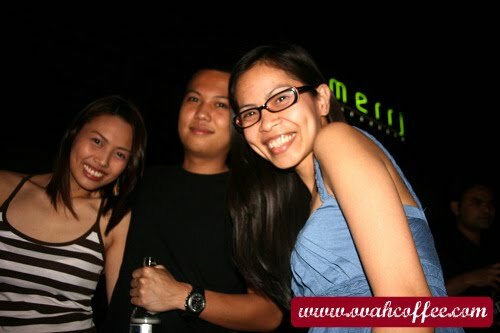 Our outfit that day wasn't really fit for a bar and resto visit but we head to Merrj anyway. Merrj IS LOCATED at 39 Mother Ignacia St., U-K Moomba Plaza (Corner Roces Avenue), Quezon City. For first timers, Merrj isn't that easy to find. When I've typed down the words "almost hidden" earlier, I really mean it. I have not been aware that Moomba Plaza is a refuge to four or five (something like that - can't really fully remember) bars and restaurants. When my brother has sensed my puzzled thought, he's simply whispered, "That is why Moomba's a PLAZA, right?" Why haven't I thought of that? I guess I've been too tired from the whole TriNoMa thing. I can not even remember the exact name of Merrj! All my brain is telling me at that very instant is that the bar begins with an M! I've first gotten a glimpse of the place "MyBar". We've checked that first but even before reaching for the door, I've thought, "This doesn't feel right." I've told Mark, Madde and Micke to proceed upstairs just to check it and voila! --- We've found it! Whew! We were immediately greeted by one of Merrj's friendly waiters. I inquired if there was a specific DRESS CODE to abide with. It was a relief to hear NO for an answer. *sigh* We asked to be seated outside to grasp fresh air while enjoying the night away. We were only billed 875Php. "Wow! ", was our reaction. We were expecting for something between 1,500 to 2,000Php. Impressed and satisfied with everything, we promised ourselves to drop by again before flying back to Sweden. The second time around, we already planned our Merrj visit. We dressed up right and brought a professional camera with us. Although we did not intend to stay for too long (we were scheduled to spend our whole day shopping at MOA the following day [our last day in the Philippines] so we needed to spare some energy for the shopping day), we did have fun! The waiters recognized us, offered a table immediately and served our orders in a flash. As usual, Madde and Micke had a bucket of Pale Pilsen, San Mig Light and additional bottles. Mark and I once more went for pineapple juice. 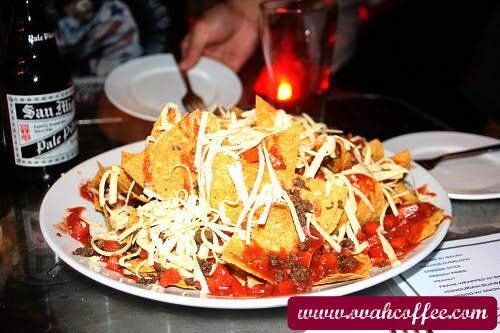 Because we weren't so hungry that night, we only requested for Nachos Overload. We just paid something between 500-600Php. Fantastic! If you are somewhere in Quezon City and you happen to be in search of an excellent place to unwind, chill and hangout with friends without making your wallet cry, visit Merrj Bar and Resto. You so DON'T want to miss this! Rest assured, you'll never regret the experience! Merrj Bar and Resto = Coolness! Two thumbs up! ... and yes! 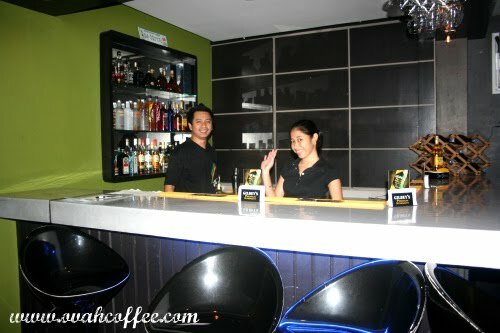 They do have a band every night to complete your bar and resto experience. enjoy na enjoy ah!!! hehhe..have a great sunday max! Yup. I am sure that you can not say no to their Nachos. Yum! ...especially this Merjj. the food looks really inviting. unfortunately i transferred to cavite. used to live in roces, nearer trinoma. anyways, thanks again and hope to see you in my other blogs as well. Hello Jenie. Thanks for dropping by here and leaving a comment. Well, drop by Merrj when you visit Manila. Great place to hangout with your friends. Thanks for the exlinks. Already added your Life Round meNyou blog in my blogroll. Let me know if you also want to exlinks with your other blogs with this blog and my two other blogs. Hugs and stay happy!